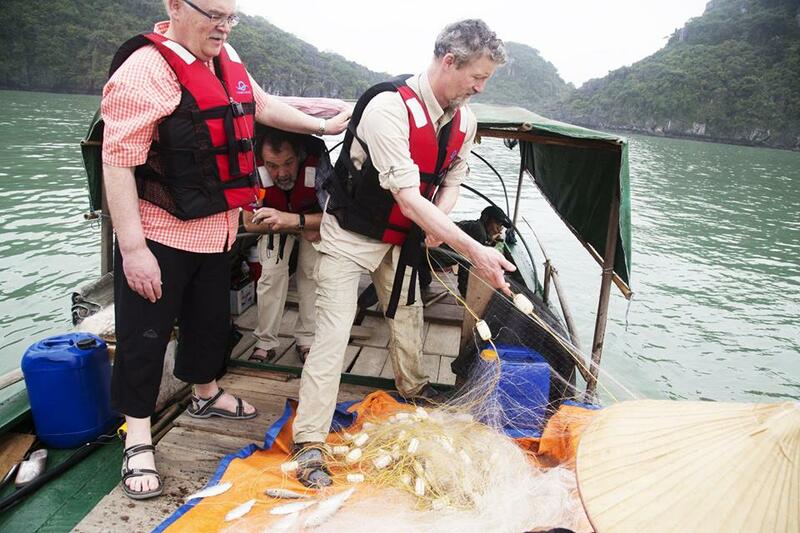 Not only triggering many travelers’ curiosity, the feeling of dropping net like local fishermen in Halong Bay also becomes one of many highlights which attract attention of people all over the world. They will provide tourists with racquets with a piece of fishing line tied to it with a large lure and no bait and fishing rod. April is the beginning of the squid season begins and around January next year is the ending season. 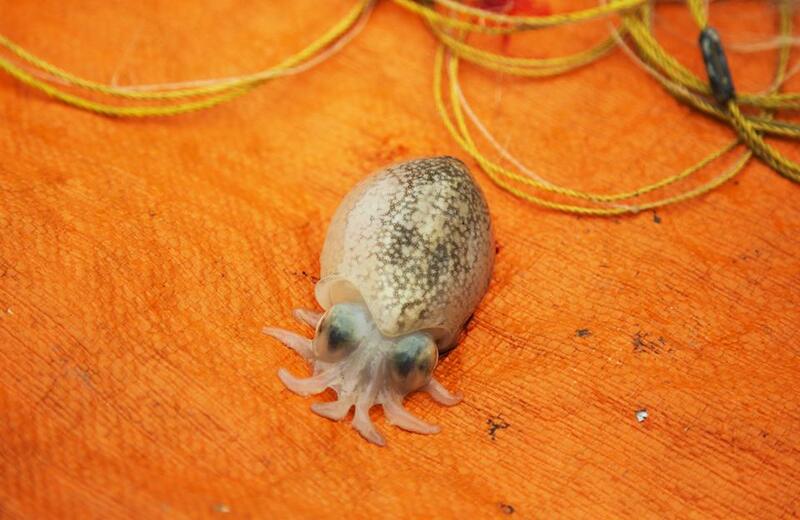 As the season goes on, the squids get bigger and bigger although early season, the squid are often smaller. 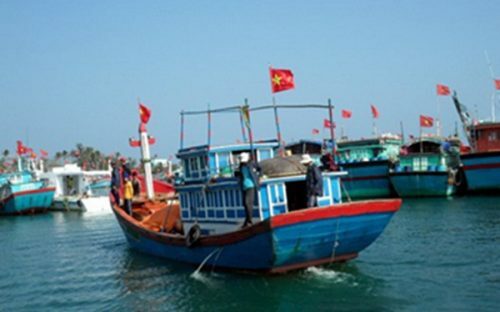 Normally, from August to December is the highest peak of the squid fishing season and you had better wait until October and November if you want to catch the biggest squids. 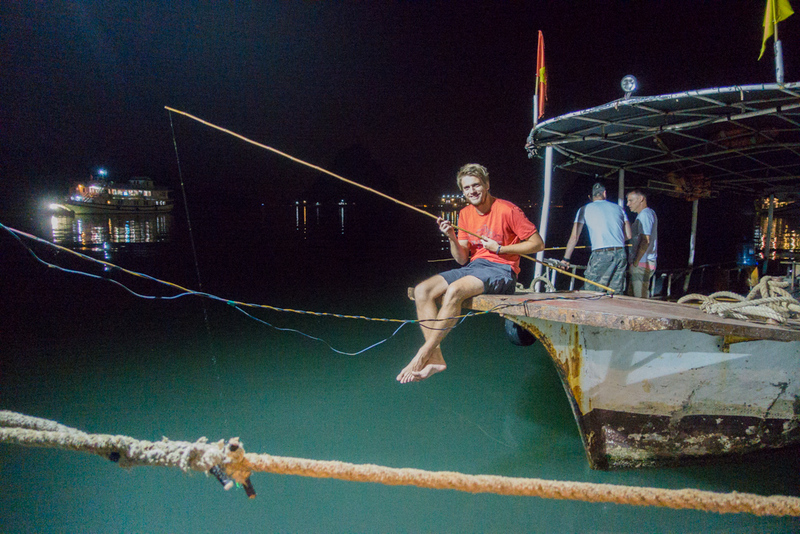 Not only being a livelihood to increase income of the local fishermen, night squid fishing is also a rustic pleasures of travelers during their cruise tours. Winter is the best time for this amazing activity as there are more squids than any time of the year when the temperature drops. A fiber, a rod and a bunch of photogenic hooks are quite simple squid fishing tools. There is a tendency that around seaweeds and rocks, there are many squids. 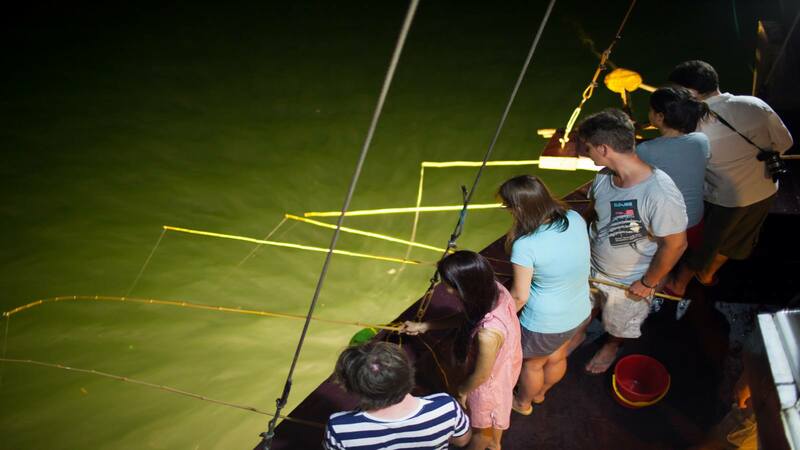 By the squid-ink stains on the deck, you will know that squid have been caught recently. Not that, night time seems to be more productive. As the squids caught do not last long in a bucket with an aerator, they are best kept in a recirculation live bait tank or used immediately if you want to keep them live. 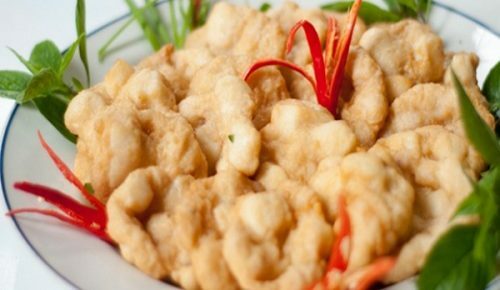 Get the cook on board serve you with the squids caught meals. 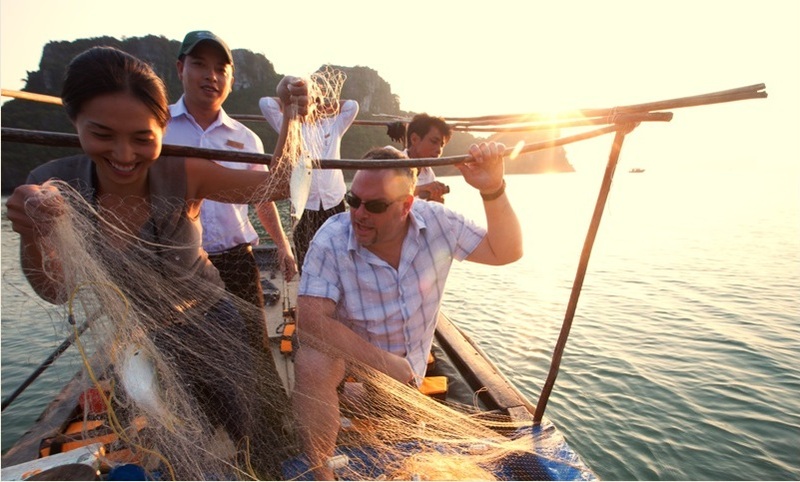 Joining squid fishing on Halong cruises will be a unique experience in your holiday.